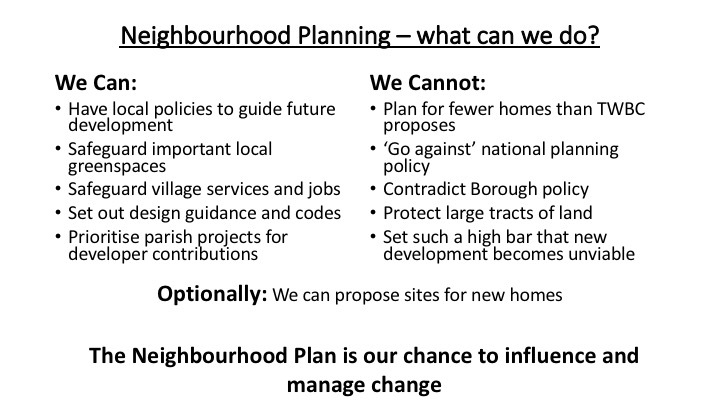 The Neighbourhood Planning teams have been working through the process. We have reviewed core local and national policy documents, alongside the input from the Village workshops, other Neighbourhood plans, and walking the parish. As a result of this work we are drafting ‘Benenden-flavour’ policies on Housing Design, Environmental Protection, Business & Infrastructure. Our first formal draft is underway; we expect to share this with the Parish Council and the Village during February 2019. We also understand a lot more about the process and timescales: this briefly illustrates the stages we will need to go through. 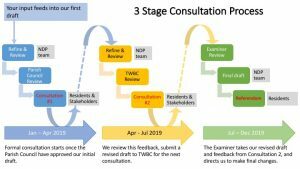 We have updated the timings: in part because there is simply so much material to review and work with, in part because the TWBC Call for Sites exercise has remained open with additional sites coming in which each of which requires full evaluation.